"Even for knee-shy gents, shorts are essential in the summer months. 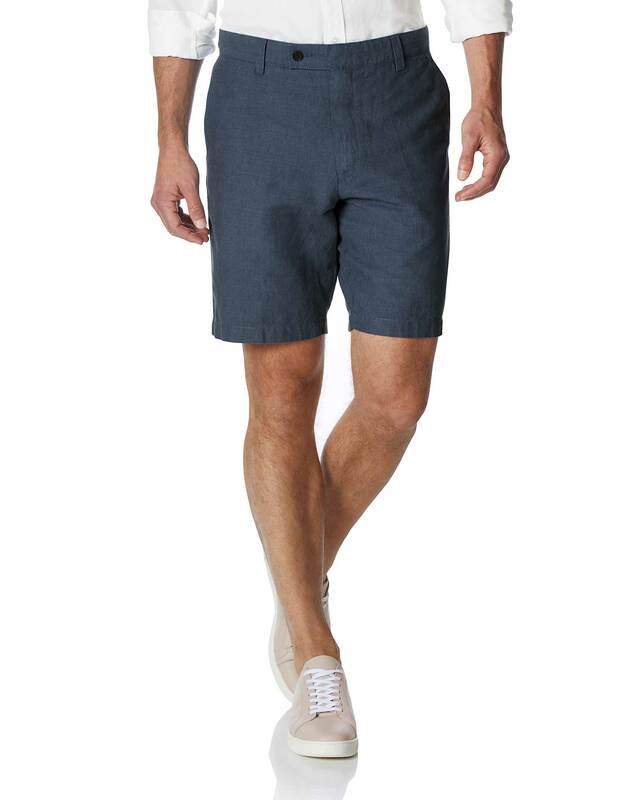 These cotton-linen shorts will coax even the most reluctant into the sun." "Cotton-linen shorts tailored with a flat front." Very good fit, good material and comfortable. Response from Charles Tyrwhitt: Being a cotton/linen blend, these shorts will be thinner in nature and feel a little different to a "pure" cotton pair. They are great for warmer weather, however, as they allow for more cooling. It's a shame they were not your liking as we truly we want customers to love every single item. We'll take your comments on board and ensure they are fed back to the Products Team. We'll put them to good news when reviewing the range at the end of the season. Comfortable and headed to the tropics. Perfectly fit and excellent for summer time.